The Past Ain't What It Used To Be... 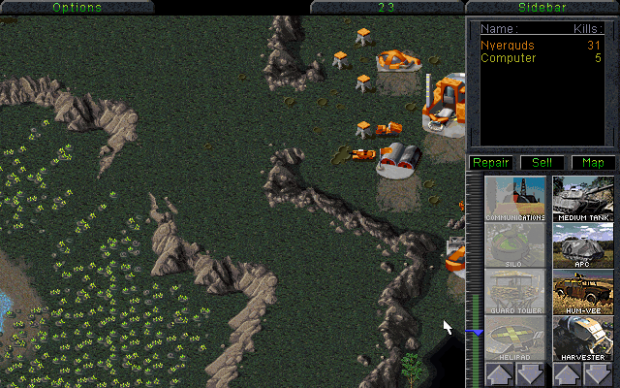 The first Command & Conquer received its last official update on the 21st of June, 1996. Since then, the game has been ported to Windows (as "Gold" version), and re-released in the big "The First Decade" collection pack, but has never received any more bug fixes. 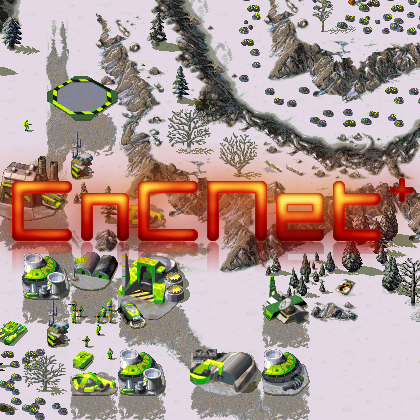 The C&C Gold Patch 1.06 project aims to bring this classic into the new millennium, by fixing the old bugs, supporting higher resolutions, and adding new modding and mapping possibilities. It also contains an addon-based language system, allowing anyone to create translation packs for the game. Report RSS	Patch 1.06c Revision 3 is released! Hell, it's about time I fixed those bugs. Revision 3 is finally here! Remember last article, where I said my Revision 2 releases have always been the most stable and complete ones? Yeah... looks like I did mess up some details there, so, without further ado, here's Revision Three. As always... the patch works on any version of C&C95. No matter if you got it installed from the original CDs, from downloaded ISOs, from The First Decade, or from one of my previous patches' full game install packs, it will work. Do note that in some cases (see question #2), you might also want to download the additional music pack to complete your install. So what exactly was wrong with Revision 2? Long story short, the "number of player start positions on a map" detection system I boasted about in the last article seemed to mess up from the moment the language was switched to anything other than English. More specifically, for any language for which the map name wasn't explicitly set in the actual map file. Quite simply, this made all maps show up as 2-player maps for all non-English players. French players have some map names translated in the actual map files (The Covert Ops ones, IIRC), which means those maps worked correctly, but with the increasing amount of language packs getting created, this was still a really embarrassing error on my part. Amongst the other fixed bugs in the "Nyerguds is lazy and should test more" category are one preventing the modding system from loading custom rules.ini, themes.ini and mouse cursor files, and the fact the newly added option to disable the new credits music didn't seem to work at all, due to me forgetting to implement the actual programming behind it. Whoops. So, yeah, that's all fixed. So, you may wonder, are there any fixes or additions that are NOT just compensation for my own sloppiness? Definitely! 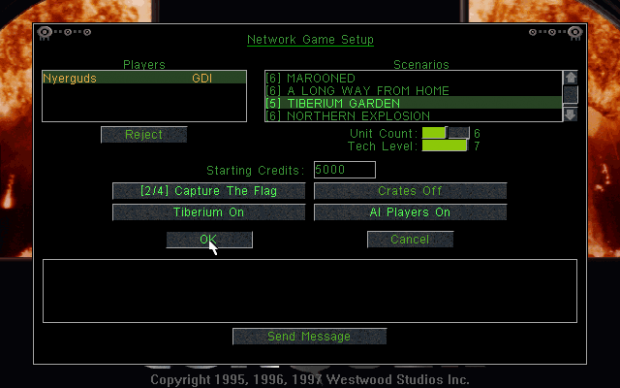 Let's start with some actual honest-to-[insert deity of your choice here] Westwood bugs. Always fun, those. Another bizarre bug was purely related to languages and mods, but too funny not to mention. You know how all missions in the New Missions menu have a "GDI:" or "NOD:" prefix before the mission name? Well, after I made those editable for mods and language packs, Kilkakon (he's doing quite some modding) noticed the game wouldn't play any GDI missions after changing it. The problem seemed to be that the game simply doesn't know if an entry in the list is GDI or Nod. The only internal information a list item contained was a mission number, and the description. The 'funny' part? To see if a mission was for GDI, the game looked at the first letter of that description, and checked if it was "G". So, if you changed that "GDI" string to something that didn't start with "G", it promptly thought they were all Nod missions. Oh you silly Westwood. And I thought I was lazy. Enough bugs. I'm sick of bugs. Bugs are rubbish. On to an actual new feature! One of the problems with C&C's skirmish (besides the base building stuff; stop asking) was that on a 6-player map, you'd always get 5 opponents. Since, at some point in the game, all enemies would stop coming gradually and decide to mass you all together, this could be quite hard to win. I always wanted to put a little extra window in between with a slider for the amount of opponents, but that's easier said than done when you're juggling bytes around as programming language. So I chose a somewhat simpler solution. The amount of enemies can now be set in the game settings, through CCConfig. You may notice the shape of the tool changed a bit; this is because I added and rearranged some options on the first tab. Anyway, as you see here, the "Opponents in Skirmish" value is set to '1'. A quick reminder though... there's no need to limit yourself to Skirmish. There's a whole multiplayer community out there waiting for you to join them. For more information on how to play online, see the news article I wrote about it. We found out that CnC-DDraw, the amazing system to stretch videos and give windowed mode, doesn't seem to work on all systems. Since C&C95 without CnC-DDraw needs compatibility mode, but CnC-DDraw runs better without it, CCConfig has been updated so it enables compatibility mode when you disable CnC-DDraw, and vice versa. 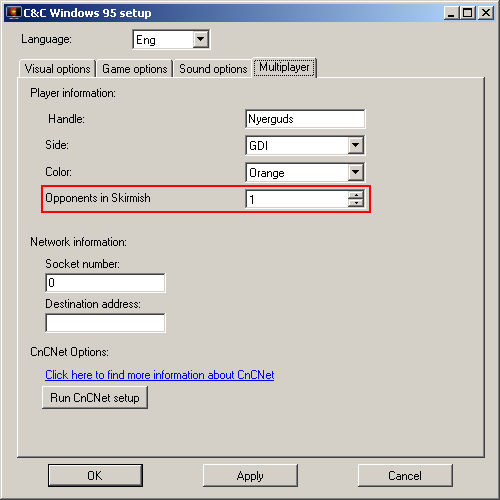 CCConfig now allows disabling the "Back Buffer in Video Memory" option if CnC-DDraw is enabled. The option affects scroll speed and general responsiveness of the game on some systems. Not that I understand why you would ever want to translate a game from English to something else, but I do love this project! Gonna try it out as soon as I can. Because most of the people that still play C&C Gold on a regular basis, English is not their 1st language. English is my second language as well, I played the games in English since I was 5! And yes, we do the same here, only childrens cartoons are dubbed with the audio, hence translating a game seems quite silly to me, to say the least. Well, swedes tend to have that attitude about their own language. C&C has originally been released in 4 languages; English, French, German and (audio only) Japanese. Now, Dutch/Flemish people like me have a general aversion to dubbed content, since it's basically only done for children's TV shows here, but that doesn't mean I can't accommodate people who are used to getting dubbed content, especially if it already exists. And from that point of view, language packs aren't such an odd step. In fact, the original 4 languages are implemented with the same language addon system, internally. Also, generally, if people have grown up with C&C1 in German or French, it's not so odd for them to want to keep playing it in that language, is it? Nostaliga, a very powerfull emotion, is it not? does the skrimish ki set up a base now? Oh, quick question, the mission reading bug, the one where the game reads G if it's a GDI mission, what exactly did you do to fix that? Did you just remove that function, or did you add something else? The internal object of an entry in the list had 2 properties; a mission number, and a text to show. I changed the actual object creation (and its handling) so the objects have 3 properties, namely a mission number, a side ID and a text to show. This change also allows me to eventually add an extra third side to appear at the top of the New Missions list. This will allow me to put both the GDI and Nod Funpark missions at the top, as scj** entries. Since I fixed all errors concerning differences between mission naming side (campaign side) and the side of the actual player in the mission, I can perfectly make 'funpark' Covert Ops list missions (like scj20ea) but make the player in such missions Nod or GDI. Wait... when you say "juggling bytes," do you mean that C&C was written in assembly? No, it was written, as source code, in C++. Compiling the program turns that code into CPU bytecode. Since Westwood never released the original C++ source code, and the bytecode can be translated to mostly-readable assembly language simply by dumping the program into a disassembler, that's what I program in to patch it, now.